Many modern pharmacy tech programs now offer students externships. These programs help schools, students, and employers get ahead. The pharmacy industry is growing rapidly and demanding qualified and trained professionals. Some think of externships like an extra class as they’re unpaid. They offer students opportunities for exposure and practice. Hands-on training is critical to enter the market ready to work. You can expect externships to last six to twelve weeks. Student services can help you explore your options. Some students also seek out opportunities on their own. Depending on where you go to school, state regulations could also affect the length of your externship. Externships aren’t required to graduate. They can expand your options and help with the job search later on. The experience helps many students go beyond the classroom. They can get into a working environment and see what the industry is like. Why should you look for an externship even if your school doesn’t offer them? One of the most important benefits of externships is exposure. Most pharmacy techs work in commercial pharmacies across the country. You might see them in grocery stores, CVS, and other commercial units. These aren’t the only a few of the places you can find a pharmacy technician. Some also work in research, compounding pharmacies, and hospitals. Pharmacy techs sometimes work in nursing homes and other long-term care facilities as well. When you take an externship early on, you can learn more about those industries. Many students use this opportunity to build connections with certain industries. If you build strong relationships in an externship, you might already have a job offer in the area you want to work in on graduation. In other instances, it helps students sort out what they’re looking for. You might change your direction. Some students choose another part of the pharmacy industry. An externship gives students the opportunity to do this without wasting years in the job market. With hard work and the right externships, you can find jobs with the host companies. What happens if you plan to move somewhere else? 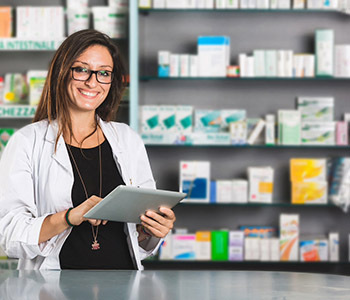 If you start your externship with the right company, they might have connections in other states or parts of the pharmacy industry. At the very least, professionals can write letters of recommendation for successful students. When Do Students Start Their Externships? Externships usually start towards the end of your schooling. So students already have the majority of the training they need. Now it’s time to solidify the things you’ve learned. Sometimes, students have a relatively firm grip on the concepts. An externship helps them see the process in action. This allows them to work out small details. Sometimes, you’re missing pieces of information and don’t realize it. It also gives you a window into your future career. Some students start looking for externships earlier. Many employers are looking for students with a certain base of knowledge. They’re not designed for students in the early stages. Students would miss out on key opportunities to learn basic information they’ll use on the job every day. Students also wouldn’t have the knowledge necessary to make the right impressions and open more doors in the future. When things go well, a student might transition from an externship into their first job once they’ve passed their certification exams. If you’re ready for a new career, pharmacy tech programs can help. Students can get the advanced training necessary to assist pharmacists in every step of the process. Accredited programs teach students about different classes of medications. You need to understand what they do, interactions, possible side effects, and more. Then schools can teach students about everything from inventory to filling prescriptions. The exact career path can vary between students. As students learn more, schools can provide resources to help them build on that. Pharmacists can easily spend over a decade in school and other required programs. A pharmacy technician can complete training in just a fraction of that even when attending part-time. The first consideration for many people when choosing pharmacy tech programs is the location. They want something close to home or family and friends. When you know where you want to attend, you can take campus tours to get an idea of the feeling on campus. You can also ask about job placement services, tuition assistance, and other services you might expect. All these factors can help each student make an informed decision going in. To see if Florida Vocational Institute is right for you and your learning needs, click here.